It is, once again, that time of the week~ Yes, it is time to Digest! I really don't have any other updates other than the News of the Week, which consists of a lot of Morning Musume based mini-articles and my oh-so-lovely opinions (sarcasm be noted), as well as a few more pregnancies announced this week. Hopefully, everyone has been having a wonderful week~ Mine has been pretty good! Oh yeah, Haruka's the boss, and Eripon's her love slave woman. I also now have a new shipping, HaruPon. Don't they look gorgeous together? Also, the poll for this weeks question is: Which BerriKyuu Girl Would You Take Out on a Date? Personally, for me, it would be a fight between Chinami, Chisato and Airi... but I think that Chissa would come out on top, no matter what, cos' I luffs her! 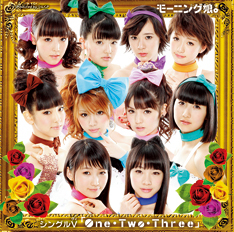 Morning Musume's Single V cover for their 50th single, One · Two · Three has been released! The date for the Single V release will be on July 11th. Okay... seriously? After some pretty gorgeous covers from the group, we now have this? I read a blog post on how tacky the photoshop skills of UFA are, but seriously, this takes the cake - even I, who has very bad photoshop skills, can do this! A Three year-old could easily do what they have done here! Seriously, Reina's, Masaki's and Haruna's heads are pretty much giant compared to everyone else's in this. It's clustered, there really isn't any room to breath with this cover, and as my sister said (though she is fine with the cover), the frame is tacky. But honestly, it's the clutter and epic fail that really makes me dislike this cover, and honestly, the girls all look bored other than Riho, Haruna and Haruka. I wish that they had chosen a better cover, and not this hack job. Maeda Yuki, a former Hello! Project enka soloist, has announced on her blog that she is 5 months pregnant, and that she will also be getting married. Due to her pregnancy, she has decided to suspend her active singing career to give herself a break. Yuki has recieved warm support from her fans, who have congratulated her on the happy news, and also expressed their wishes to hear her sing again soon. Whilst I have never followed Maeda Yuki, I am very happy that another tarento/Idol/Singer is having a child! Like Nakazawa Yuko, Yuki is in her 5th month of pregnancy, which means that they will both give birth aroun the same time. This is, of course, amazing news for Yuki, who will become a mother and be able to create a family with her child and new husband! Hopefully Yuki will be able to rest up, and give birth to a healthy baby! Congrats to Yuki and her soon-to-be husband! Morning Musume's 9th and 10th Generation will be holding a handshake event on July 5th at Shibuya Tower Records. This may be for more promotion of Morning Musume's 50th single, but it's great that the future of Morning Musume will be promoting not just the group but also themselves without the aid of Sayumi and Reina. It's great that all the girls get a chance to meet the fans and express their thanks for them all coming to see the girls! Hopefully, all fans within the area will be able to attend the event! Michishige Sayumi and Tanaka Reina will both be holding a handshake event on July 5th in Osaka. On the same days as the 9th and 10th gen members of Morning Musume, both Sayu and Reina will be able to promote both the 50th single (which is released on July 4th) as well as themselves individually. I do think that separating the new girls from the older two is a smart move on UFA's part because then it means that they will all be able to promote themselves, and show off the new Morning Musume, as well as to promote Sayumi and Reina individually. Hopefully, all fans within the area can attend the event! Two new Hello! 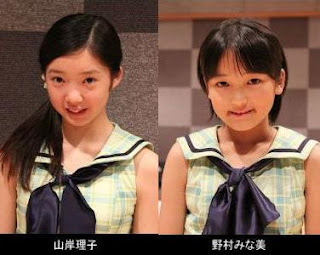 Project Kenshuusei have been announced, and they are Yamagishi Riko and Nomura Minami! The girls were announced as official Kenshuusei members at the Hello! Project Kenshuusei Happyou Kai 2012 ~3gatsu no Nama Tamago Show!~. I don't generally follow the Hello! Project trainees, but Hello! Project recently went on the search for new members after losing quite a few through auditions for the main H!P groups, as well as graduations and additions to UP UP GIRLS. So it's not surprising that, in the past few months, they have added so many additions, and it's nice to see that many new and fresh faces are being added to the program. Hopefully, more Kenshuusei are to come! C-ute's 19th single has finally been announced, and will come in five editions: Regular, Limited A, B, C and D, and there will also be a Single V, of course. C-ute are one of my favourite Hello! Project groups, and I love most of their songs, especially their more recent ones. Hopefully, their 19th single will be another great song to add to the long list of fantastic singles the girls have brought out. I am looking forward to previews, radio rips and covers! 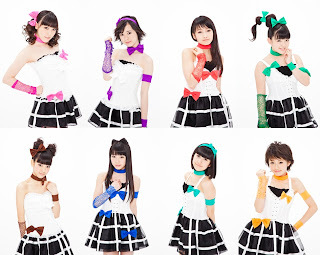 Morning Musume will be releasing their 13th album in September, titled 13 Colorful Character and will be available in two editions, Regular and Limited. Limited will have a DVD available with it. Indie Idol unit, Station♪, will be releasing their first album on July 11th! They will also be holding a one man live on the 15th at Ebisu LIVEGATE. 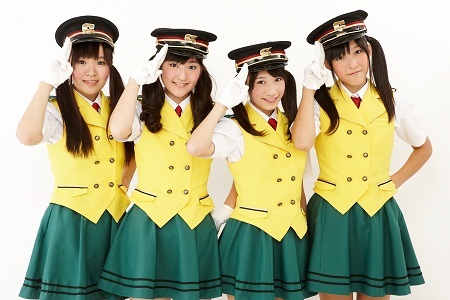 Their first album will be titled Densha de GO! GO! and there will be a total of 8 songs on the album, as well as PV for the song 'Kun Heno Chizu' and a Making of video. It's great that Station♪ are still continuing with their activities, and I am really looking forward to this release. Even if the girls are still an Indies unit, I really like the songs the have produced and the theme. If you are a fan of the group, then check out what they already have, and possibly buy the album if you can! Morning Musume's 9th Gen have released a short radio preview of their special group song, titled Aisaretai no ni..., on Riho's radio show. This is a cool song with a modern feel to it, and really shows the mature side to the Qki girls. Aisaretai no ni... is available on the Limited C and D editions of Morning Musume's 50th single, One · Two · Three/The Matenrou Show. I actually like this song quite a bit, though I wouldn't stamp it as my immediate favourite at all. The girls sound amazing in this, especially Eripon who has vastly improved from when she joined. Thankfully, the line distribution in the song, despite the short preview, is extremely good, which will please the Qki fans. I'm impressed with the song and how it sounds overall, but surprisingly enough, my sister isn't. Oh well, we won't always agree on everything now, will we? Morning Musume will appear on Music Japan on July 1st! For many fans, this is great news, as it means promotion for the group and their 50th single! Of course, for many groups, Music Japan is a popular choice where they can perform their songs and promote their singles. 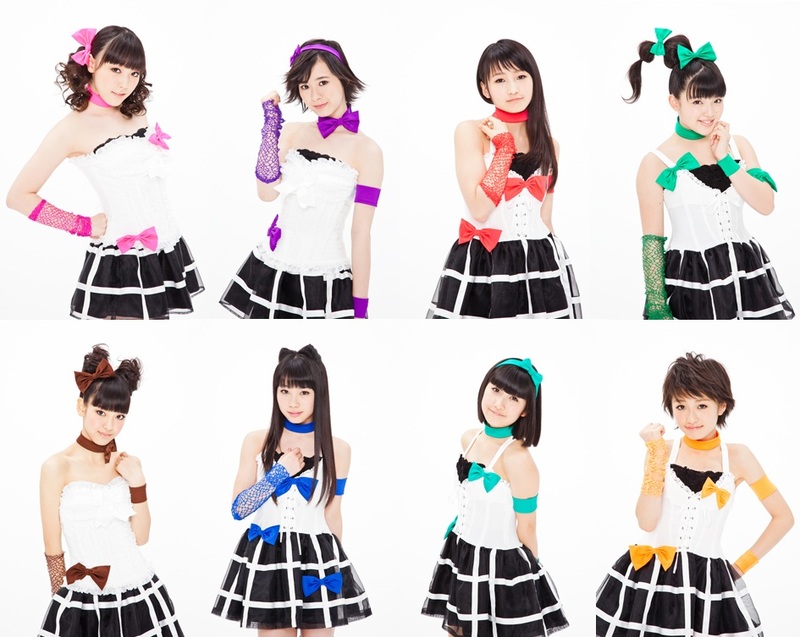 Hopefully there will be more promotion on other channels, but it's great that Morning Musume will be featured on MJ! Dance/Vocal unit, Fairies, have released the short ver (I say that cos it ends too quickly) of their PV, Tweet Dream, which is also the CM song for Waseda Academy, a drama which features the member Ito Momoka. Tweet Dream/Sparkle will be released on July 25th, and is the groups 4th single. Hello! SATOYAMA Life Episode 3 has been uploaded for everyone to watch! In this episode, Yajima Maimi Nakajima Saki, Iikubo Haruna, Ishida Ayumi, Wada Ayaka, Fukuda Kanon, Mitsui Aika and Fukumura Mizuki. Like the previous episodes, the first half of the episode features the girlson the farm once again, with the main focus being on Harunan, Nakky and Maimi as they try to plant some edible leaves (I don't know what they are DX) and shows the girls working hard to plant them. The second part features Aika, Maimi, Mano and Fukumura as they go to buy vegetables (and get overly excited by how the doors open xD) as well as learn more about the plants and vegetables they eat. Whilst these episodes don't exactly tickle my fancy right now, it is interesting to watch the girls go around learning about plants and vegetables and how to grow everything, and for those who understand the show, it will be quite educational, especially if you are into agriculture. Hopefully the episodes will change soon enough and show different things, because farming three episodes straight is becoming boring. S/mileage are to release their 11th single this year! The single, which is currently untitled, will be released in August this year on the 22nd, and will be released in five editions, Regular and Limited A to D. The information was released via Tower Records. I was actually wondering when S/mileage would bring out their next single, because it seems so long since they last released Dot Bikini, and I'm pretty sure that other fans were wondering when the girls would bring out something new. Hopefully everyone will get excited for S/mileage's latest single (I know that I won't get my hopes up, they've sucked these last two singles IMO), because sure enough, it will have that weird and whacky S/mileage edge to it. Gal Sone, a Tarento, competitive eater and former member of TNX group, Gyaruru, has officially announced on her blog that she is 5 months pregnant with her first baby! She expressed her joy to her fans about her pregnancy. Hearing this news is great! Along with Nakazawa Yuko, who recently revealed that she was 5 months pregnant, as well as former Hello! Project soloist Maeda Yuki who is also 5 months pregnant, is amazing! It's great to know that they will all be starting their own families soon and enjoying motherhood. Hopefully, Gal Sone will be able to rest and continue to work hard without straining herself for both herself and her baby! Congrats to Gal Sone and her husband! Morning Musume's official youtube channel has uploaded a video that shows Morning Musume promoting their 5oth single, as well as revealing a collaboration with Recochoku. Whilst I don't understand the video itself, this will be great news for many fans! Recochoku is a download site, where fans of music can download selected music to their phones or PC. Recochoku also has a Weekly chart for the most popular music which is downloaded. Hopefully, this collaboration will help to promote Morning Musume's milestone single more, and let's hope to hear more news on this soon! StylipS seem to be getting great PV's, and this one i no exception. The PV looks fun, summery and well thought out. I like how the girls look summery without the use of bikini's, and I love the airy feel of it. I am really looking forward to this single's PV and the full song, because it sounds really cute and fun, and the PV looks extremely promising! Alice Project have uploaded a new video to their channel, allowing fans listen to a brand new release by Alice Project unit, Cherry Blossom. The song is titled Margarine and it is a full MP3 release. Alice Project are always updating their channel with new videos, with most being MP3's of their songs. There are very few PV's from Alice Project, but I really like all the music they upload, because it allows me to appreciate the song more without having to watch a video. Margarine is a really cute song, I think it's such a lovely song to listen to. Cherry Blossom is actually one of the groups I like a lot from Alice Project, because their songs are really nice. Hopefully everyone can check the song out, because it's very nice.